Are you ready to become a hero, spy, and legend? 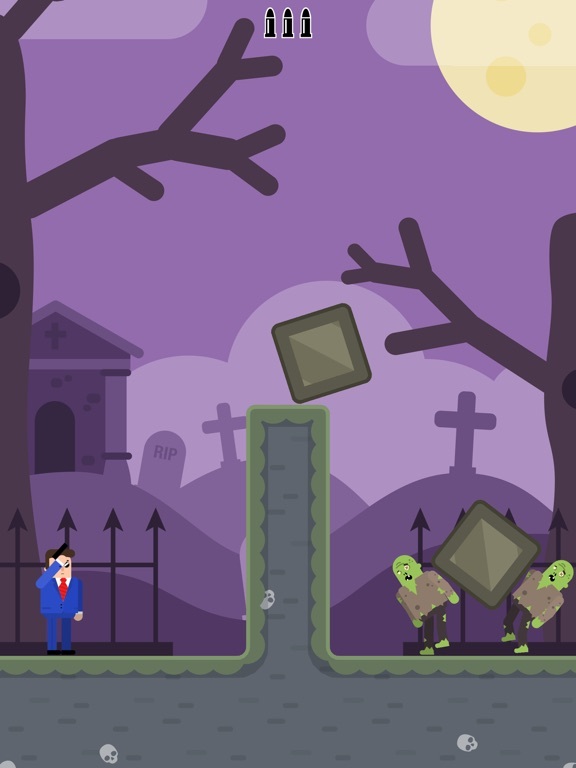 Solve puzzling challenges, show off your deadly accuracy and take aim at the enemies. Come experience the shooting phenomenon. 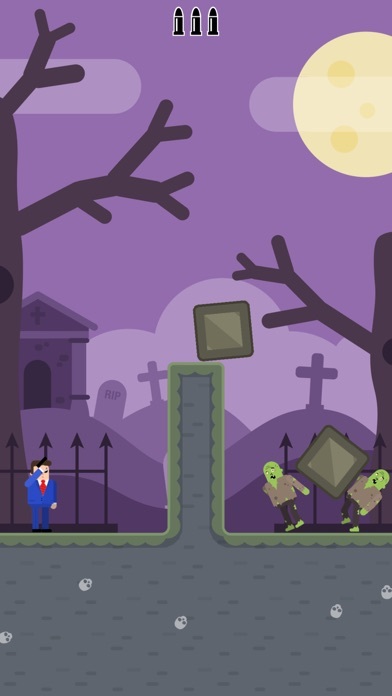 Use your brain in this unique puzzle game. 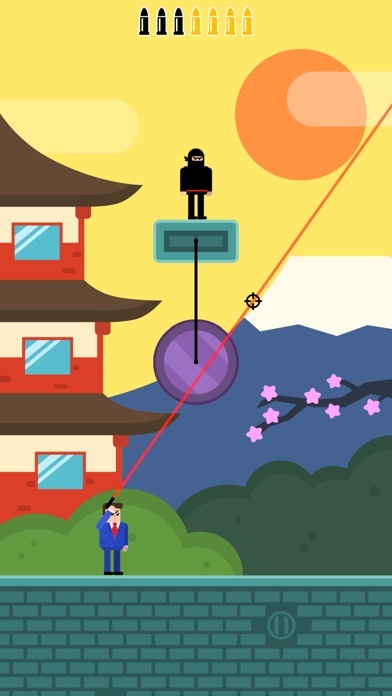 You will need precise aim and laser focus to take down enemies, ninjas, and many other bad guys you will encounter in the world! Travel to new lands, save hostages, and use unique weapons like grenade launchers to combat your foes. Start your adventure now! The one thing you have to ask yourself is: can you do it in one shot? 1. Destroy them all and save the world! Mister Bullet is on a secret mission. 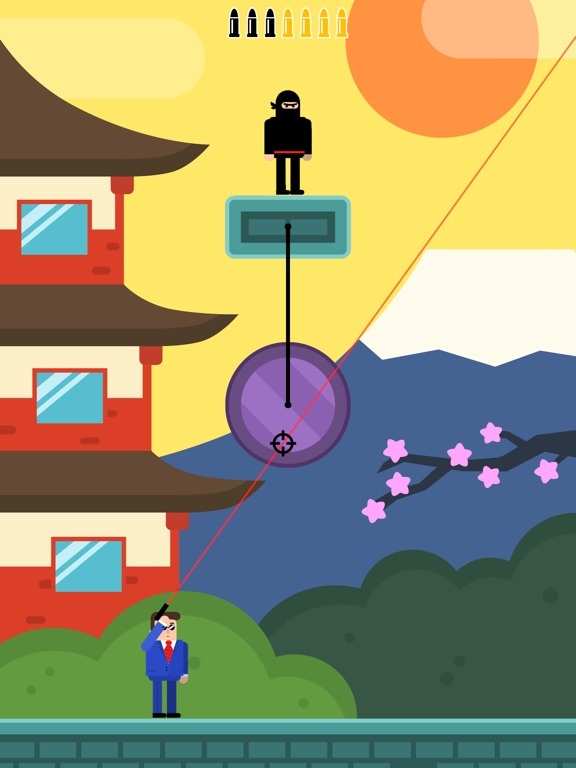 Use your deadly accuracy and precision to keep the bad guys! Whether it is a spy, agent, zombie, lumberjack, alien they are all here to take over the world and only a MASTER can take them down and save the world. 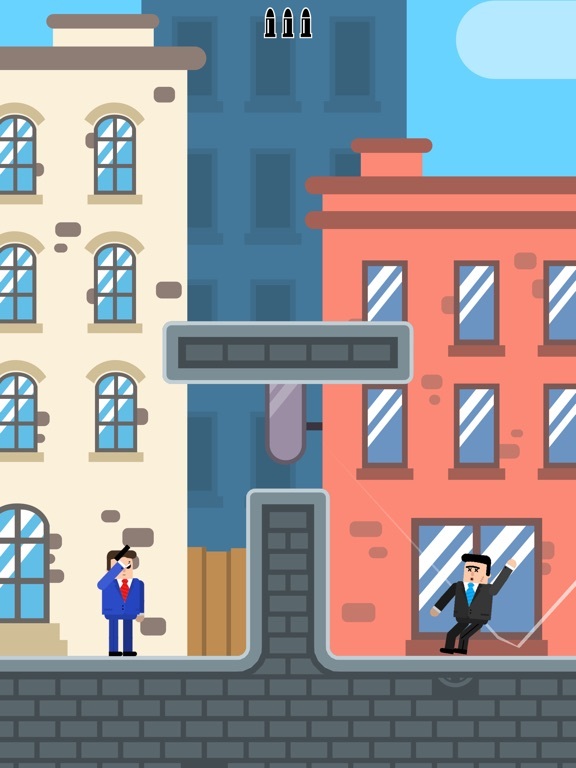 So many enemies and levels for you to take down, each with their own unique twist! How smart are you? Can you solve all the puzzles? 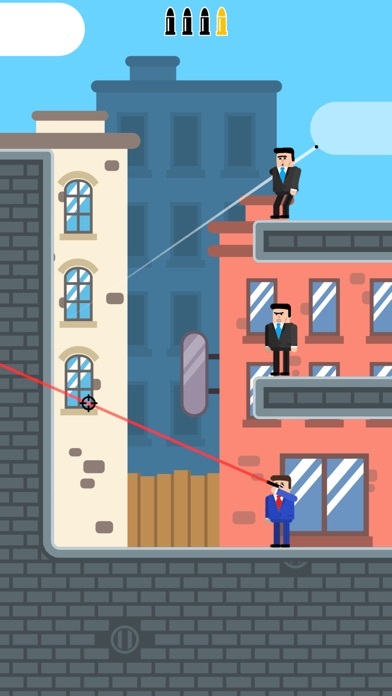 Shoot bullets that ricochet, bounce, or simply go in a straight line! 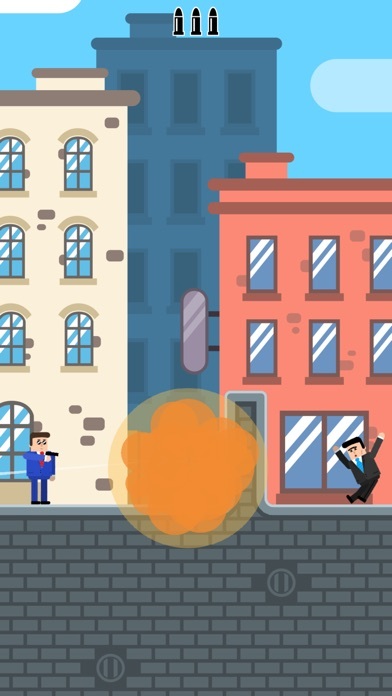 Use your bullets to make objects fall and explode. Create chain reactions and do whatever it takes to get your target! 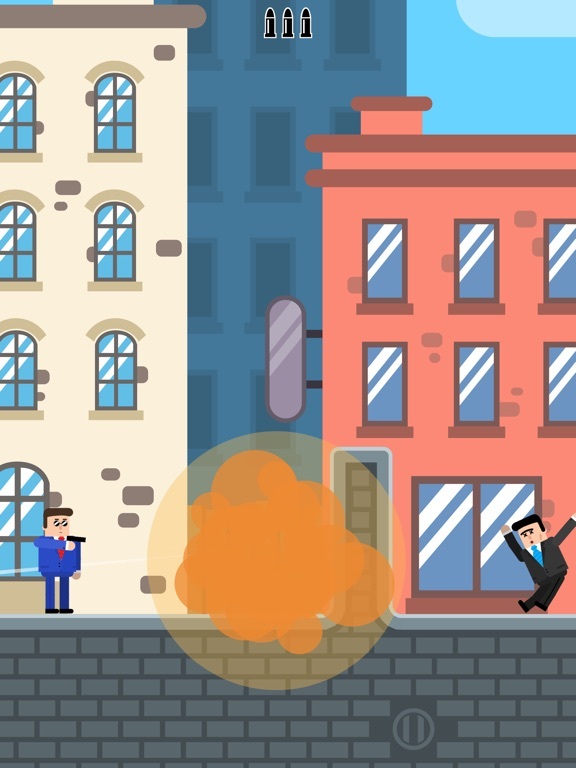 Rescue hostages, throw grenades at people and go on secret missions. No matter the situation, just remember to make every shot count! Only the smartest and quickest can solve all the puzzles! You will need more than just accuracy to make it through. Speed, timing and patience are all things you will need to become the zennest shooting master. Can you get three stars on every level? Are you the best and most accurate? 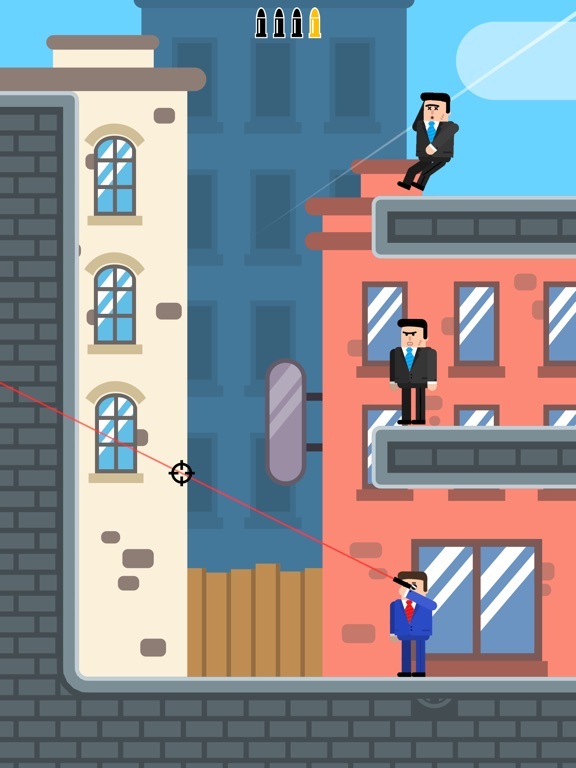 Battle against other spies in crazy PVP multiplayer scenarios. Choose your weapon and get ready to battle. Coming Soon. Mr Bullet is constantly updating with new unique levels, weapons and other skins. You will NOT want to miss out on the action. 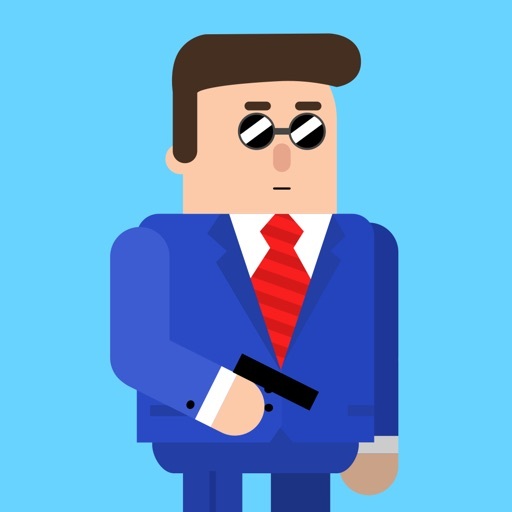 Whether you're a shooter or a puzzler, Mr. Bullet is a challenge ready for you. This is the best physics shooter game there is. Never miss a dull moment with this easy to learn and easy to play game that is almost IMPOSSIBLE to master. Battle notorious villains. Become a legend agent. Start your mission and never stop shooting! Bullseye! 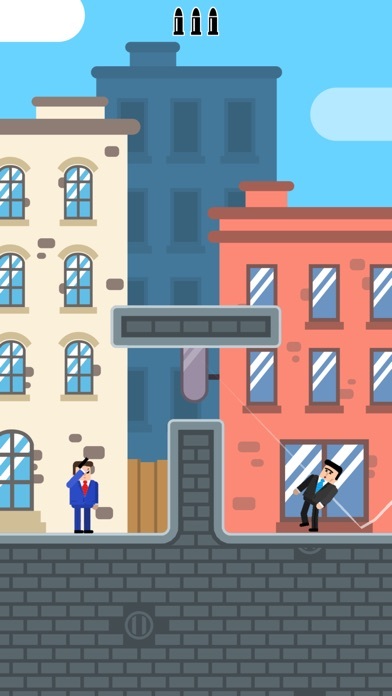 Visit https://lionstudios.cc/contact-us/ if have any feedback, need help on beating a level or have any awesome ideas you would like to see in the game! From the Studio that brought you Happy Glass, Flip Trickster, and Love Balls!